Baseball players say the darndest thing. Over the game’s century-and-a-half history many funny, insightful, wise or ridiculous things have been articulated about our national pastime. 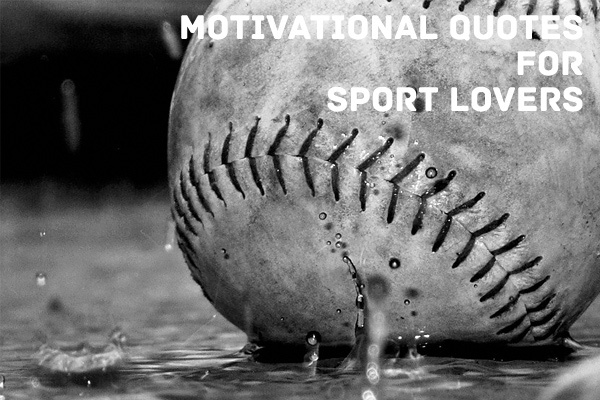 We’ve compiled some of these great baseball quotes below. And you thought giving 110 percent was enough. Two-time National League batting champion and ET impersonator Willie McGee agrees. 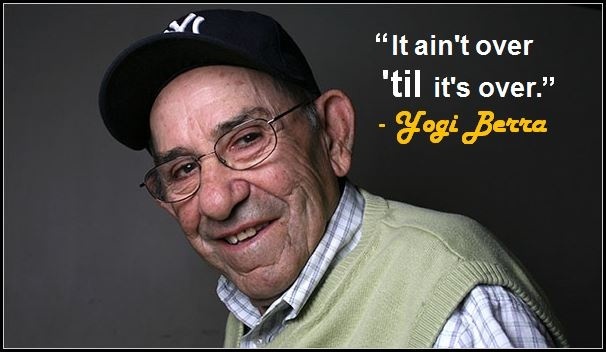 Before it was a Lenny Kravitz song, that was baseball’s leading philosopher summing up the game — and life. The Yankee legend seems like he understood the fickle nature of the pitcher’s win/loss record before the sabermetricians took it down. Uecker has made a very successful second career out of his self-deprecating schtick. Bouton, who wrote the legendary baseball book “Ball Four,” always had a way with words. The Say Hey Kid liked to keep it simple. Mr. Cub just loved to play. 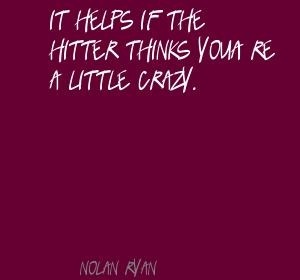 It also helps if you can throw 101. Oh Steve, you handsome curmudgeon. Van Slyke was actually a pretty darn good hitter — and he wasn’t so bad with long analogies either. That’s Wee Willie Keeler on his then-record 45-game hitting streak. Maybe that explains the first name. They also have longer careers, get paid more money, suffer fewer injuries and don’t have to wear form fitting tights. But who’s counting? Granted there really wasn’t a whole lot to do back in the 1920s. Apparently there wasn’t a whole lot to do in the ‘60s either. Leave it to a relief pitcher to make an obvious point nobody’s ever made before. As you can gather from the quote, neither first baseman Guerrero or second baseman Sax were known for their glove work. And that is why Wright became a comedian rather than a ballplayer. The long-time Orioles’ manager was responding to Evangelical Christian outfielder Pat Kelly telling Weaver he should walk with God. This was Weaver’s advice during a mound visit to struggling pitcher Ross Grimsley. This quote from the newspaper writer stuck with the Senators their entire wretched existence. So that’s why baseball is so hard. 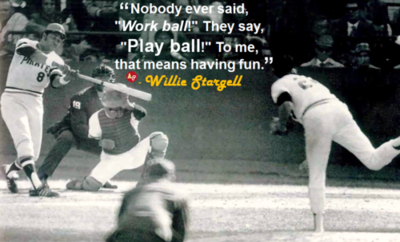 But despite this, Stargell kept things in perspective. Granted, he may have plagiarized Teddy “Speak Softly” Roosevelt a bit with this one. The baseball as a church analogy is pretty played out. But here, Durocher does it right. 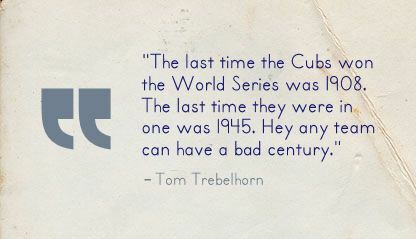 The Cubbies might be losers, but at least they encourage some good quotes.